I finished the last ‘Books wot I red‘ post back in January… which means it has taken me a frankly ridiculous nine months to do the next post. In fairness I’ve actually read four since then, one of which was essentially a textbook. The next book I read was actually ‘The Little Prince’ by Antoine De Saint-Exupery, but as I covered that in my book/game review I won’t retread that ground here – except to say you should read it, if you haven’t, no matter what age you are; a truly magical little tale with an equally amazing historic story behind it being written. I followed a children’s classic with what is essentially a textbook; Can’t Stop Won’t Stop by Jeff Chang. It’s a fantastic achievement, covering the history of everything associated with hip hop (music, style, dancing, graffiti and gang culture). It’s a book that could only have been written by a fan, but that has pluses and minuses. On the plus side he gets the tone right. He drops in slang to ‘keep it real’ which could’ve gone horribly wrong, but works. And more importantly the level of detail is truly remarkable. On the downside this reverence often clouds his judgement on issue such as gangs, to the point where he’s essentially making excuses for the terrible violence and mayhem many of the participants caused in these communities. It’s fine to champion something you love, but to be taken seriously you have to be realistic. While no one is going to claim these were anything other than horrendous living conditions imposed by corrupt and/or misguided officials and politicians, it’s not as if this is an excuse for turning the neighbourhood you live in into a war zone; plenty of people lived through these conditions without turning to crime and violence. While I found the music side fascinating, from the roots of hip-hop in Jamaican reggae culture through Grandmaster Flash and Bambaataa, to NWA and Wu Tang, I did find myself skipping sections on graffiti and break-dancing as they simply don’t interest me. But this was no fault of the writing, which was consistently high quality throughout. If you have any interest in the roots of hip hop and rap culture, this is a must-read. 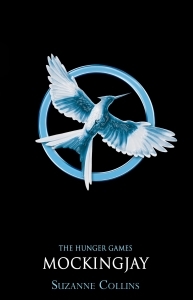 For a while I did dip out of ‘Can’t Stop, Won’t Stop’ for a light break, reading the concluding book of the Hunger Games trilogy; Mockingjay by Suzanne Collins. I’d heard consistent reports it was the worst of the three, but that wasn’t about to stop me completing what had been a very enjoyable series. Unlike the first two books it starts at a gallop, getting straight to the action. This final book has a completely different scope outside of the games themselves, which initially filled me with optimism. But as the pages dragged (and dragged) on it became clear why this instalment is considered a little below par. What Collins does well in the first two books is portray emotions it’s hard to conceive, due to the horrific nature of what’s going on. But here the plot turns to media and psychological manipulation, as well as more militaristic elements; areas she seems less confident with and which the reader is more familiar. It must be reminiscent of the situation CS Lewis found himself in with Narnia’s; ‘The Last Battle’, or the end of ‘Harry Potter’. Things need to grow up, get dark and get BIG; but how do you do that and keep the character of the series? It’s also something Pullman struggled with in ‘His Dark Materials’, but where I think all of them got away with it with varying degrees of success, unfortunately Collins really drops the ball here. What we end up with is a soggy middle which drags inexorably towards the largely telegraphed conclusion, via needless par after needless par of increasingly unlikely emotional Katniss breakdowns. That said, I bet this will work well in the film versions. I felt the need to go to a banker next, so grabbed the copy of Dave Gorman vs The Rest of the World I’d picked up for a quid in a charity shop – sorry Dave (I’m sure he’s reading). A very funny man talking about playing games – what could go wrong? Nothing, as it happened. I was relaxed into it from the first few paragraphs and kept a pleasant smile on my big, fat, entertained face throughout. While games are the driving force behind the idea this is definitely a book about people, so don’t be put off if you don’t like games in any form (it’s just that if you do like games, you’ll probably get a bit more out of it). Mostly the ‘action’ centres around travelling to interesting places and meeting interesting strangers; and he stumbles on more than his fair share of characters. Sadly he’s not taking requests from gamers to meet up any more. I can hardly blame him, but I would’ve loved to share a pint and a game with the man. If you’re reading Dave (and I’m sure you are), drop me a line eh? Rivers of London by Ben Aaronovitch. Its second time at number 1, having now been on four of these lists. And I really want to read it too; what the hell is going on? Cloud Atlas by David Mitchell. Second list at number 3. Was blown away by the film and told the book was even more remarkable, but in a different enough way to be a separate entity. Still waiting on the shelf. Paperboy by Christopher Fowler. New entry! I wouldn’t normally consider a ‘memoir’, but this one is written by the author of my favourite ever series of books – the Bryant & May crime novels. Has to be worth a try. Teach Yourself: The Cold War by CB Jones. New entry! I’ve just got a copy of the amazing board game Twilight Struggle, set in the cold war, and want to put it in proper context. I really should know more about this history I lived through. This entry was posted in Books and tagged book reviews, Can't Stop Won't Stop, Dave Gorman, Dave Gorman vs The Rest of the World, Hunger Games trilogy, Jeff Chang, Mockingjay, Suzanne Collins by Chris Marling. Bookmark the permalink. Rivers of London by Ben Aaronovitch – Is a really pleasant read and fun in a “slightly more grown up than Harry Potter”. I do like the way the series digs through some of the embedded history of London and uses that to power the story. Anyhow, as always, thanks for the great reviews, CSWS and the cold War book just got added to my want to read list. If you like the idea of London history being embedded in the story, I’d certainly recommend the Bryant & May books from Christopher Fowler. The first one (Full Dark House) is a little tricky, as it switches between the past and present, but is the only one to really do so; well worth persevering with.